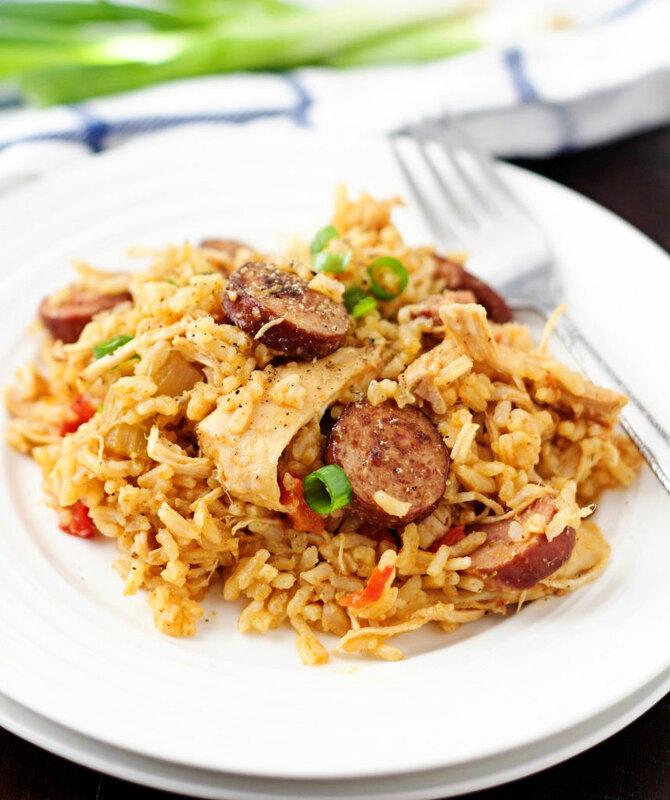 Smoked sausage paired with chicken and rice makes for a pretty fantastic, simple dinner. 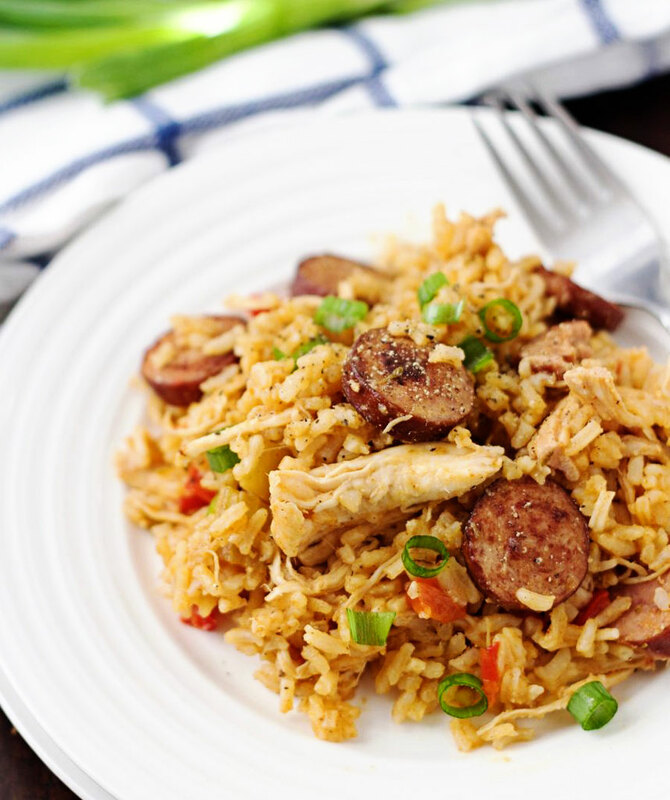 This Slow Cooker Southern-Style Chicken & Dirty Rice has quickly become a favorite of ours. Hello! It seems like forever since I’ve posted, even though it’s only been a week. 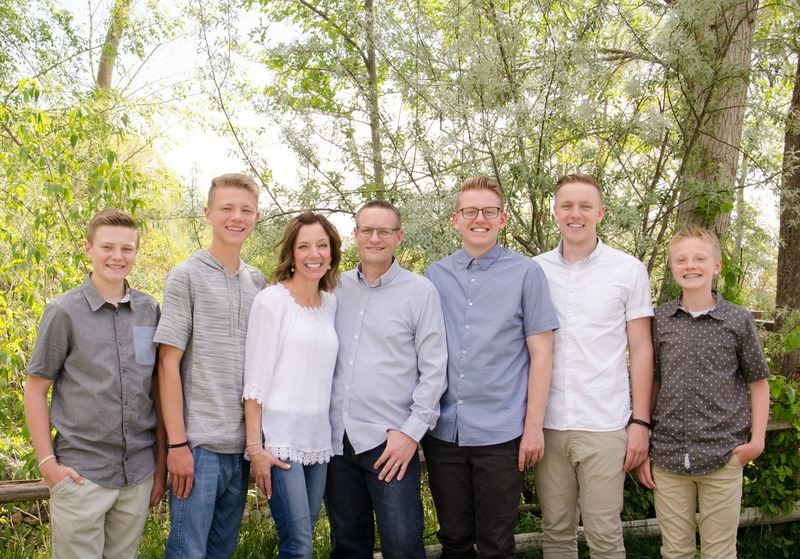 We certainly did and the best part was being able to skype wth my son who is currently serving an LDS mission in Sacramento, California. That was definitely the best part of the day and hands down the best gift. But now the holidays are winding down and almost completely over so I’ll be getting back into a normal routine. By that, I mostly mean a normal cooking routine. We’ve had so many different dinners and parties that I haven’t consistently cooked “legit” meals the last few weeks. I’m all over going to or hosting dinners where I only have to make the dessert or salad, or whatever it is I’m asked to bring. Yep, definitely ok with that. 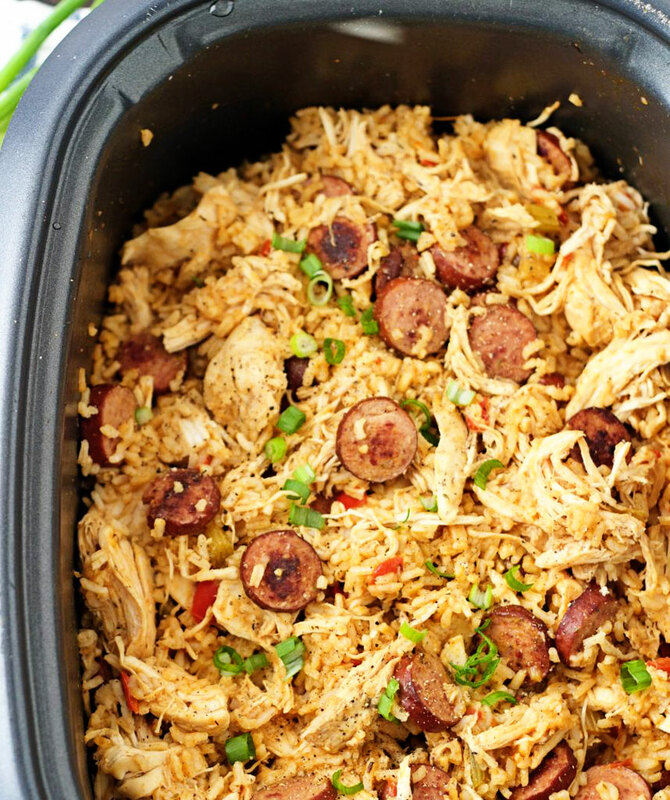 If you’re looking for a delicious, simple meal to try and ease your way back into reality, then this Slow Cooker Southern-Style Chicken & Dirty Rice needs to be your next meal. Prep for slow cooker recipes can be super easy or pretty involved and I know most people love their slow cookers for the soul purpose of being able to dump the ingredients in and walk away. This particular recipe isn’t one of those dump & go recipes, sorry. It’s more like an in-betweener. It requires a little bit of work on the front end if you will, but I promise it’s absolutely worth it. Give this one a try and let me know what you think. In large skillet, heat oil over medium-high heat. Brown sausage well, about 3 minutes. Add onion, celery, bell pepper, garlic, thyme, chili powder, and cayenne and cook until vegetables are softened and lightly browned, about 8-10 minutes. Stir in flour and cook for 1 minute. Slowly whisk in broth, scraping up any brown bits and whisking out any lumps; transfer to slow cooker. Season chicken breasts with salt and pepper and nestle into the slow cooker. Cover and cook on low 4 to 5 hours or until chicken is tender. Break up chicken into bite-size pieces using a couple of forks (or a wooden spoon works too). Stir in the rice and 1 teaspoon of salt, cover, and cook on high until rice is tender, about 20-30 minutes. Sprinkle with green onions and serve. I don't always need to, but sometimes I end up mixing in a little more chicken broth once the rice is cooked just to moisten it up a little. The original recipe calls for 2 pounds of boneless, skinless chicken thighs, trimmed, but I use chicken breasts. Either one works great, it's just a personal preference. Just remember chicken breasts do tend to dry out easier, so make sure you don't over cook them. DO NOT use regular rice in this recipe. American's Test Kitchen knows what they're talking about when they call for minute rice as the kind of rice to use. They tested different types of rice and determined that instant rice worked best in the slow-cooker, in terms of cooking evenly and helping the ingredients to bind together in the finished dish. Have made this multiple times now and it’s always delicious! All of my family loves it, and I even feel like it’s good enough to bring to someone for dinner. Thank you for sharing! Hi Breanna! So happy to hear you love this. Thanks for leaving a comment, I always love hearing from followers.